A beautiful one level corner penthouse with a large south west facing terrace and an ample north east facing terrace allowing for all day sunshine. This sought after property consists of a bright living room, a fully fitted kitchen with a breakfast bar and utility/laundry room, 2 double sized bedrooms, the master bedroom is en-suite and there is also a second bathroom with a shower. The front terrace is half covered and has glass curtains which is perfect for the winter months and the other half is open and has access from the master bedroom and living room. The second terrace at the rear views over the communal gardens and is a perfect place for breakfast. It comes fully furnished and has air conditioning in each room. In the basement there is a private parking place with direct access from the lift to the entrance of the apartment. 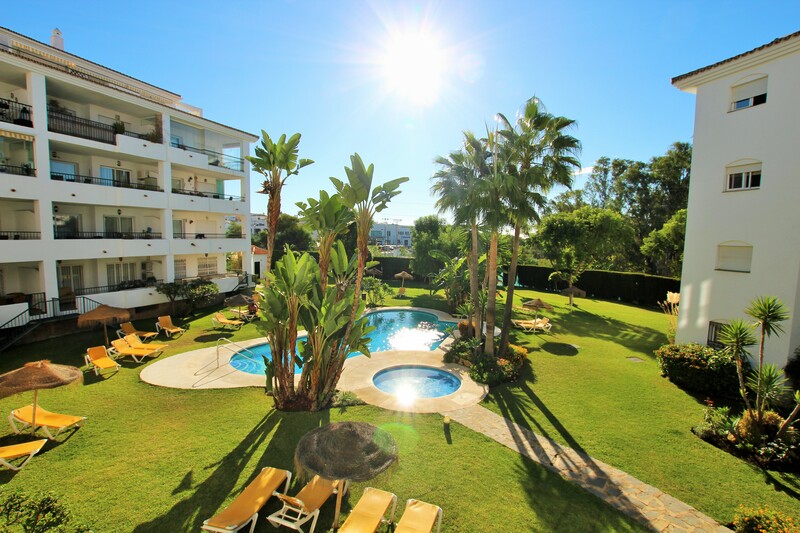 Located within one of the most popular complexes in Calahonda. 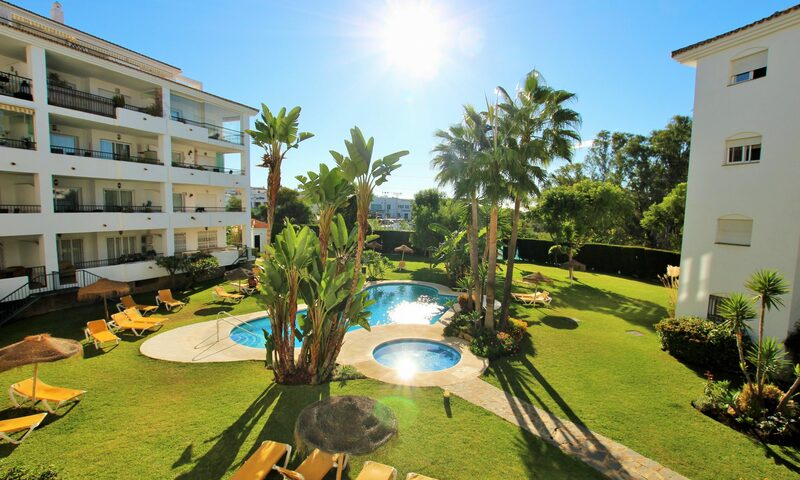 There are beautifully manicured sub tropical gardens, a private road with guest parking, a tennis court and 3 pools. The shops, supermarket, restaurants and bars are with in a 5 minutes walk and the beach in less than 10 minutes.